You can now find the revised version of my vampire story, Geraldine’s Addiction, in the new issue of Dark Moon Book’s Stoker-nominated horror magazine, Dark Moon Digest. No. 12, July 2013. In a future entry I’ll have a short interview about where I got the inspiration for Geraldine’s Addiction. Available on Amazon or where horror magazines are sold. 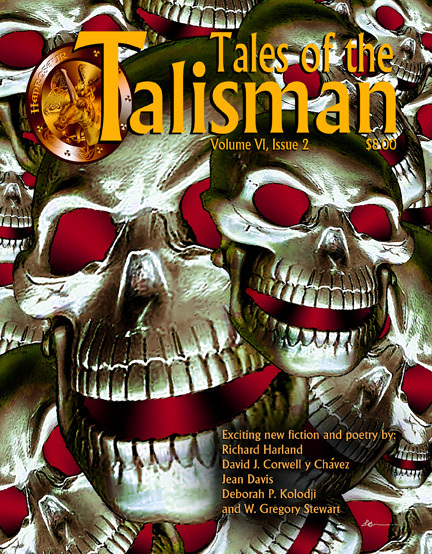 Featuring scary fiction by Lawrence Dagstine, Grant Matthew Frazier, Erin K. Coughlin, Arthur Carey, Kaitlyn Travis, Jason Cramblett, Samantha Combs, Aric Sundquist, Ruth Hopkins, Patrick Tumblety, Carie Juettner, and an exclusive piece by Stoker winning novelist, Joe McKinney. 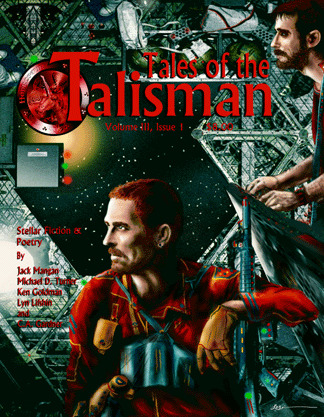 Today, however, I present two “brand new” short stories to David Lee Summers’ Tales of the Talisman. My record 5th and 6th Acceptances, one steampunk tale and one fantasy tale, due out in spring 2013 and summer 2013. Something I’m not used to, since I’ve been writing mostly long form — novelettes, novellas, and novels. But you won’t want to miss these two stories when they DO arrive. In other good news, I might be getting married! Ahh, wedding bells. But in the meantime, be sure to follow my story progress via this homepage, Twitter, or Facebook. Social media, since, with writing and marketing, I rarely have the time to do the blogging thing. And two more brand new pieces coming to Spring & Summer 2013. My 2009 debut short story collection, FRESH BLOOD, filled with 160 pages of dark science fiction stories and twisted horror tales is now coming to PDF/e-Format. You can get it from one of the largest RPG retailers on the Web. DriveThruRPG.com! Or, for just a few dollars more, you can splurge for the print copy and see what all of last summer’s buzz was about. Just do a search for “Sam’s Dot Publishing”. It might take a while for the publisher’s page to go up.